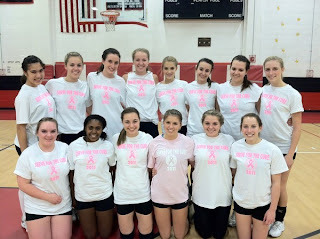 The Burlington Patch has an article posted on our Girls Volleyball team's great season. Our team improved to 9-5 with a win over Arlington yesterday. The girls will look to clinch a post-season birth tomorrow when they travel to Watertown for a 5:30 match. Way to go BHS Volleyball!! Kudos to you all!! !Great team work!! !